Jamie McCrary is in her second year of the Arts Management Masters Program at American University. Here, she shares her experience of attending the Emerging Arts Leaders Symposium on March 23, 2014. A few weeks ago, I had the pleasure of spending the day with my arts management peers and colleagues at the Emerging Arts Leaders Symposium (EALS). 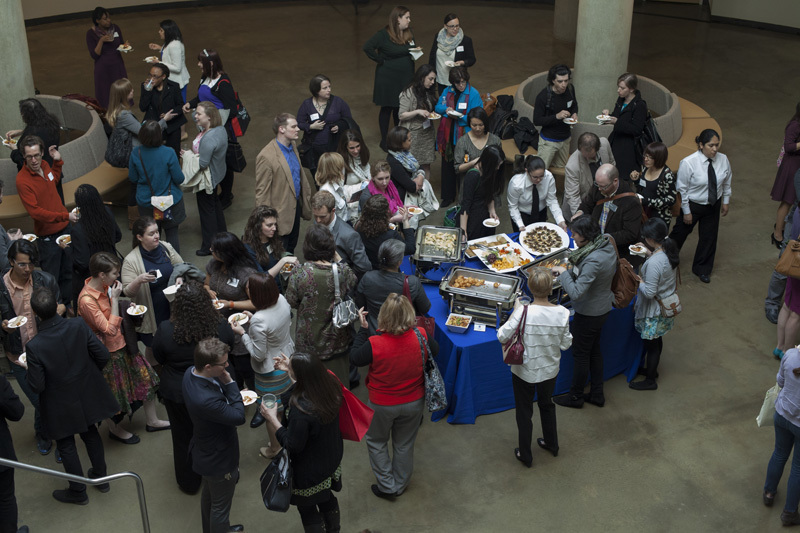 Held at the American University Katzen Arts Center on Sunday, March 23, 2014, EALS is an annual gathering of arts management professionals who are committed to examining issues, trends, and innovations in the field. An entirely student-run event, the symposium was organized and coordinated by a committee of AU arts management students, a group of individuals I am lucky enough to call my classmates and my friends. EALS was the culmination of two semesters of hard work for them, which was reflected in the quantity and quality of symposium speakers, panelists, and attendees. As a second year in the AU arts management program, much of my coursework is currently focused on summing up and integrating the concepts I’ve learned throughout the program. EALS supported this endeavor by giving me the opportunity to examine problems and challenges different arts management fields face. Featured speakers came from a multiplicity of backgrounds, reflecting perspectives from across all arts areas and professional disciplines. This diversity encouraged me to think differently about the concepts I’ve studied, reminding me that there is not just one way to approach a problem. Though EALS is committed to finding answers to major problems in the field, I believe the symposium is also committed to finding the right questions to ask. Often times pinpointing which questions to examine leads to solutions we never considered, encouraging both collaboration and innovation in the field. How can the arts be used as a diplomatic tool in conflict resolution? What specific values are funders looking for in their grant writers? Should the arts consider business models other than the traditional non-profit structure, and, if so, what does this mean for the future of our arts organizations? These are just some of the questions raised at the symposium, and some of the questions that I continue to grapple with following the conclusion of EALS. When I left the symposium, I felt refreshed, inspired, and thoroughly impressed—both by the speakers I heard and by my classmates who organized the event. While EALS has come and gone, I think it’s important that we realize the symposium is a beginning, not an end. EALS creates a point of entry for us to continue examining issues and finding solutions to the problems we face; and, perhaps realizing that the questions we find are just as important as the answers. The very lucky among us have had the pleasure of working for a vibrant, inspiring, supportive leader; the kind of person who excites and energizes his staff, or who buoys support for her organization with seemingly effortless charisma. While it may seem like magic, this panel will provide a forum for discussion about strategic, innovative, and effective leadership styles and trends. Additionally, panelists will share their insights about smooth transitions – within an organization, up the ladder, or to another organization altogether. If you haven’t done so already, be sure to register for EALS on Sunday, March 23.This panel will be during our first breakout session, from 11:45am – 1:00pm. Kim Sajet is the director of the National Portrait Gallery. She was appointed to the position in February and officially assumed office April 1. Before joining the Smithsonian, Sajet was the president and CEO of the Historical Society of Pennsylvania from 2007 to 2013. Previously, she was senior vice president and deputy director of the Pennsylvania Academy of the Fine Arts, the oldest art museum and school in the country. From 1998 until 2001, Sajet was the director of corporate relations at the Philadelphia Museum of Art, and she served first as curator and then the director of two Australian art museums from 1989 until 1995. In addition to 20 years of arts management experience, she has written a number of scholarly publications, curated permanent-collection and touring exhibitions and spoken at academic symposia. Her most recent publication was on American artists who worked in Dutch art colonies between 1880 and 1914. Check out a recent article in the Washington Post featuring Kim and other leading women in the field. Fielding Grasty is a Director and Assistant Secretary to the Board for National Arts Strategies (NAS). 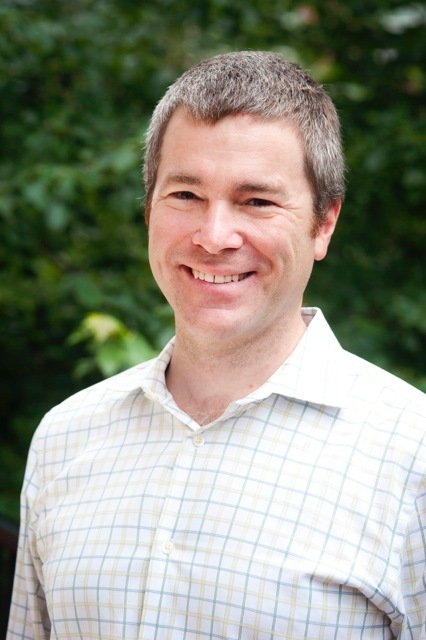 Fielding leads the development and oversees management of several NAS programs. These include The Chief Executive Program, the Business of Arts and Culture series, and international programs such as the Hong Kong Leadership Training Program for Senior Arts and Culture Executives. He is seminar director for the NAS seminars Finance and Strategic Governance and served as program director and leads the development of NAS online events. As Assistant Secretary to the Board, Fielding has primary staff responsibility for administrative issues related to the Board of Directors. 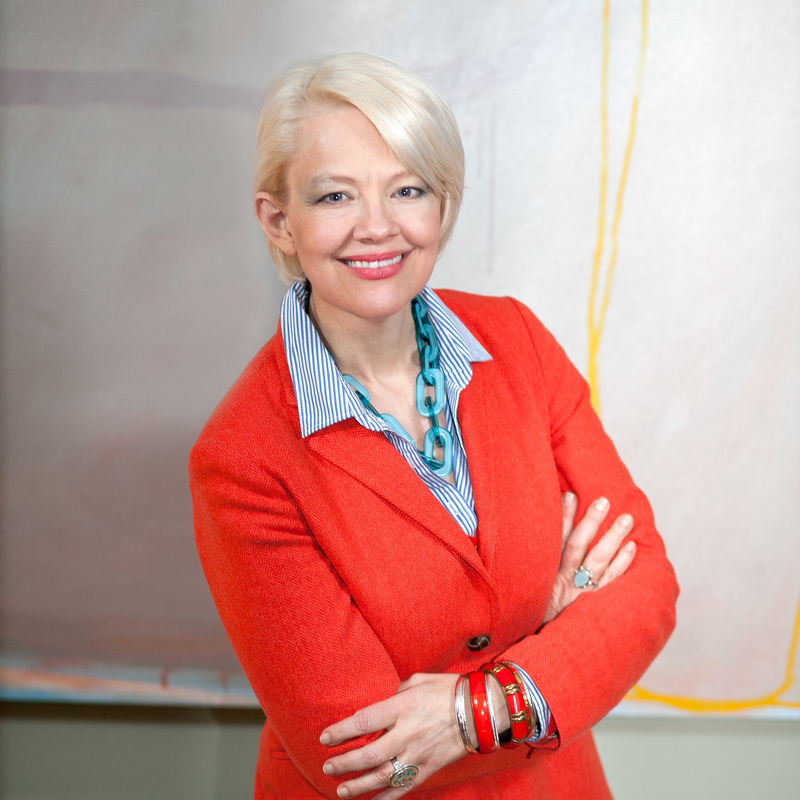 Fielding serves as President of the Board of Directors of Second Street Gallery, a nonprofit contemporary art gallery in Charlottesville, Virginia. He earned a B.A. with Honors in Literature from Eckerd College. Syrah Gunning works in the training division of the John F. Kennedy Center for the Performing Arts as the Assistant Manager for Fellowships and Internships at the DeVos Institute of Arts Management. Syrah oversees the strategy and implementation of highly competitive early and mid-career professional development programs including three Fellowships, the Kennedy Center’s Internship program, and the BAM Professional Development Program (a training partnership with the Brooklyn Academy of Music in Brooklyn, New York). Prior to her work with the Institute, Syrah received her Masters of Business Administration from the Bolz Center for Arts Administration in the Wisconsin School of Business at University of Wisconsin-Madison, where she focused on leadership development for the performing arts administration. Prior to Madison, she served as the Special Events Manager at The Baltimore Museum of Art, where she produced events for the Museum’s $65 million campaign and designed an institutional planning process to facilitate collaboration and evaluation across its six divisions. Sarah Durkee is Vice President of Public Education at the Corcoran Gallery of Art and College of Art + Design, a position she has held since 2009. 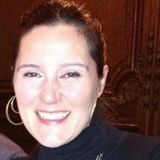 Ms. Durkee has worked for the Corcoran for the past 12 years; prior to serving her current role, she held various positions within the institution in education, public programs, and special events. Ms. Durkee is pursuing her M.A. in Arts Management from American University and graduated with highest honors from Bowdoin College with a degree in Art History and International Relations. She has also worked in various capacities with American University Museum at Katzen Arts Center, National Arts Strategies, and as DC Administrative Coordinator for Art Cart: Saving the Legacy, an intergenerational project that documents the work and preserves the legacies of aging artists. 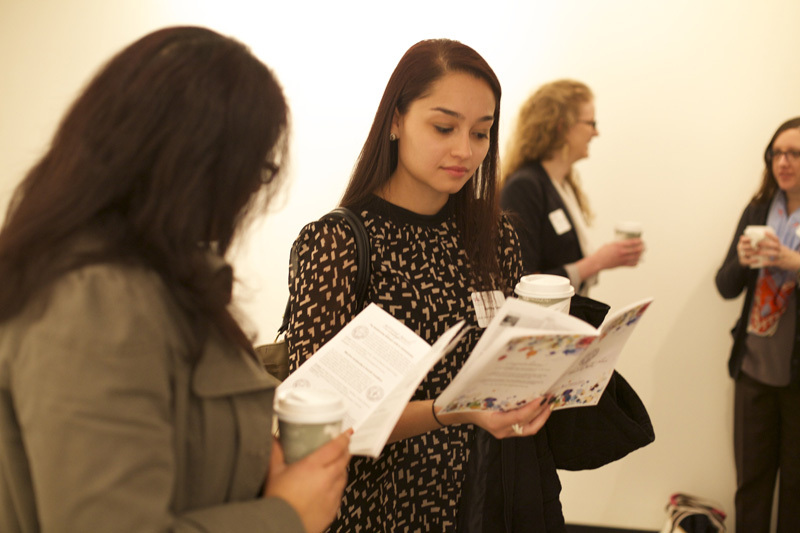 See you Sunday, March 23 for the Emerging Arts Leaders Symposium! What Makes a Good Arts Leader? We have all heard of the need for strong leadership in the arts field, especially as we encounter an era in which large numbers of arts managers are beginning to retire, thus leaving control to a new generation of leaders. What exactly is it, however, that makes a good leader? What makes a leader an effective force within his or her organization? What are the forces and issues that the leaders of tomorrow will need to address? How does technology affect leadership? And beyond the organization, how can a leader in the arts be an effective leader within the larger community? More importantly, why is it vital that arts leaders be leaders within their communities? Leadership just may be overrated. It takes guts to be a follower. As Sivers says, “the first follower is actually an underestimated form of leadership in itself. It takes guts to stand out like that. The first follower is what transforms a lone nut into a leader.“ So show some hutzpah and be one of our first benefit ticket buyers.